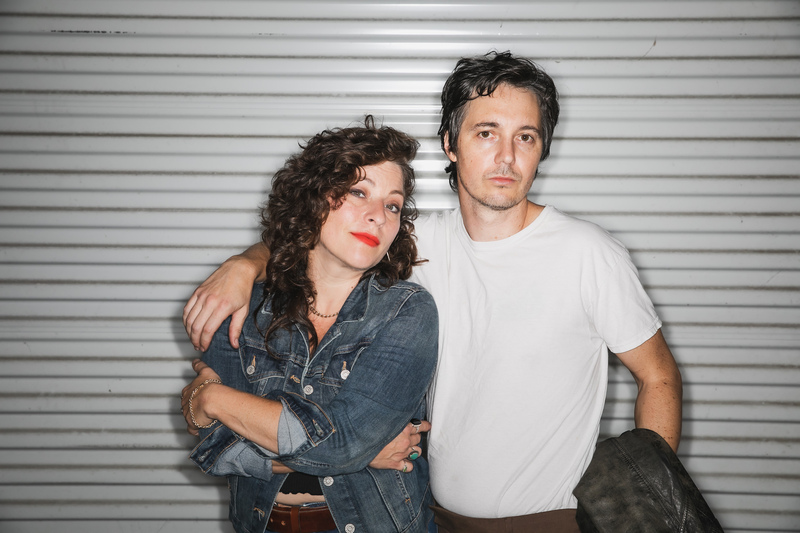 Accomplished musicians in their own right prior to dedicating themselves full time to Shovels & Rope in 2011, Trent and Hearst have made a career together by seizing opportunities and never resting on their laurels or being complacent in doing something just because. Carving out a niche in the music world with strong, roots/indie/folk/rock-inspired efforts like 2012’s O’ Be Joyful, 2014’s Swimmin’ Time, and 2016’s inward-looking Little Seeds, as well as their powerful live show, far-reaching tours, and myriad TV and festival appearances, Shovels & Rope have earned the right to follow their own muse. And so, in an effort to satisfy their numerous creative interests and adapt to a changing industry, Trent and Hearst have firmly planted their flag in realms beyond recording and releasing albums. The third annual High Water Festival curated by the band will be held over a weekend in April and will bring 10,000 fans to a park in North Charleston to witness a lineup of artists comparable to some of the best in the country—including Leon Bridges, The Head & The Heart, Lord Huron, Jenny Lewis, Mitski, and Shovels & Rope themselves. High Water benefits select organizations and water conservation charities in Charleston and aims to avoid the feeling of corporate inundation and discomfort that plagues many big-name music events. Trent and Hearst work with production companies and agencies to book acts, then serve as on-site hosts in addition to performing throughout the weekend. The children’s book, “C’mon Utah!”, sets the lyrics from the new song of the same name to illustrations by the artist Julio Cotto. It is an inspirational story, set in the future aftermath of the building and subsequent destruction of the southern border wall. The separated and displaced families are figuring out how to start to put the pieces back together. Communities form to organize and support each other. The parents in these communities tell stories to lift the children spirits and maintain hope through sadness and despair. One such story is about a magic horse named Utah who has the power to help to reunite them with their families on the other side of the devastation. The book is intended as a conversation starter for parents and children to discuss immigration and diversity. Trent and Hearst have learned to juggle their busy schedules by relying on each other as well as their team, and by seizing every chance for efficiency. They realized one such opportunity by building a modest studio at home, which is where they began to record By Blood in May of 2018. The new space in their back yard provides a sanctuary where their gear can remain at the ready, a luxury conducive to their creative process—especially when sharing a home with kids. By Blood’s ten songs are vignettes that focus on vulnerable, human characters laid bare, while the textures are gritty, sweeping, and profound. These are tales of inherently good yet incomplete people whose faults are on the table in plain sight, a trait that endears the subjects to the listener and that the songwriters recognize in themselves. The first single “The Wire” is about accepting your own faults and learning to say you’re sorry. Its stylishly minimal verses and wall of sound chorus recall some raw, girl-group era drama as well as timeless rock and roll. As the gorgeous, dark lullaby of the title track brings the album to its end, the beautiful, cinematic journey of By Blood has left its mark. And so, bound by blood, by sweat, and by love—of creativity, craft, and family—Shovels & Rope are coming out swinging. From the bind in their band name itself to the shared life they have built from scratch, it’s clear that Trent and Hearst are in constant pursuit of their best selves—together. For press information about Shovels & Rope, please contact Jim Flammia jim@alleyesmedia.com at All Eyes Media (615) 227-2770.